A sauce obsession becomes a way of life. 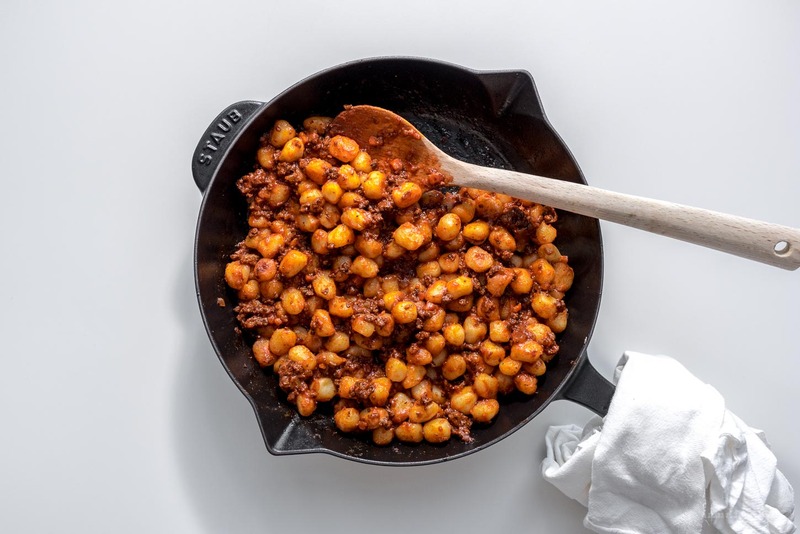 Instant pot bolognese – perfect for a weeknight dinner. Make a rich pork and beef sauce without hours and hours of simmering. 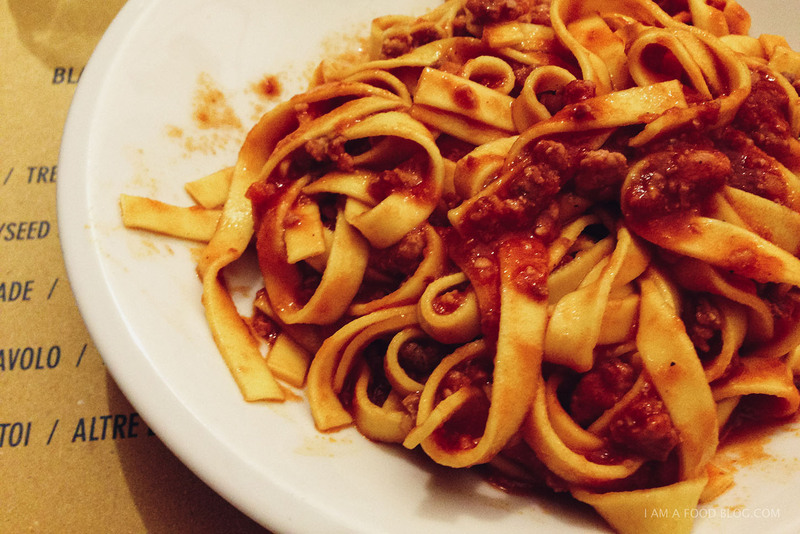 I might not be Italian, but bolognese is the sauce of my people – my noodle loving tribe. The ones who feel like noodles are a meal that they could happily eat with an extra side of noodles. I feel like I could get along great with anyone – I’m talking anybody – as long as we’re hanging out over a plate of bolognese and pasta. Bolognese is my ultimate sauce, my kryptonite, my second true love (after Mike, of course). 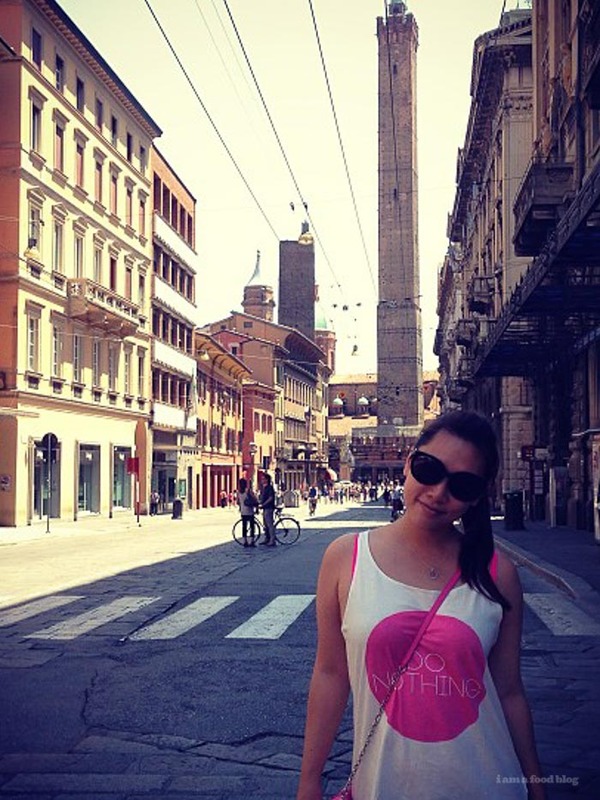 I love bolognese so much that once, many years ago (okay, not that many, maybe like four years) we went on a pilgrimage to the home of bolognese, Bologna. 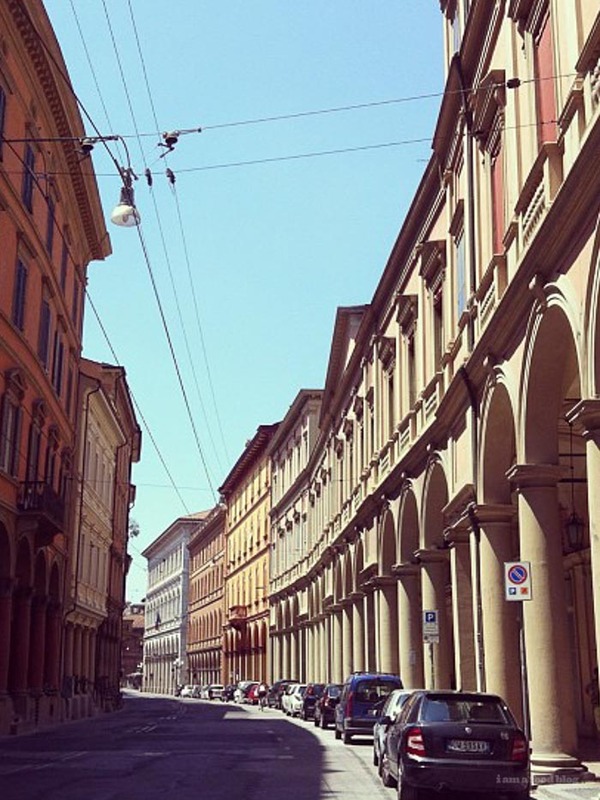 I had it in my head that the ragu in Bologna would be the best bolognese ever. Spoiler: it wasn’t. 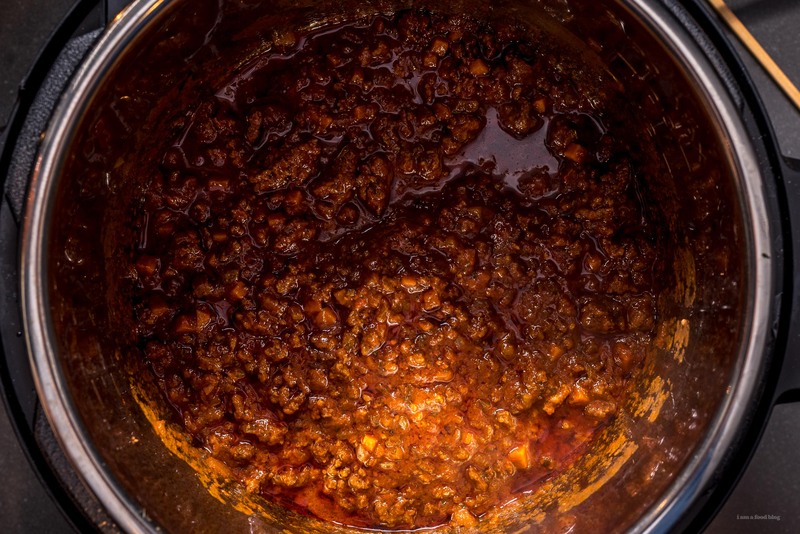 I’ve written about it before, and I still haven’t changed my mind about it – the bolognese sauce in Bologna is nothing like I imagined it to be. Still, it was bolognese sauce, so I was still kind of sort of happy? Anyway, I’m forever on a search for bolognese recipes because I feel like there can never be enough. It’s kind of how certain Japanese chefs spend ages trying to perfect their one dish: think of the guy in Jiro Dreams of Sushi and how long he had to make tamagoyaki for before he got the Jiro seal of approval. I dream of bolognese, searching for perfection. 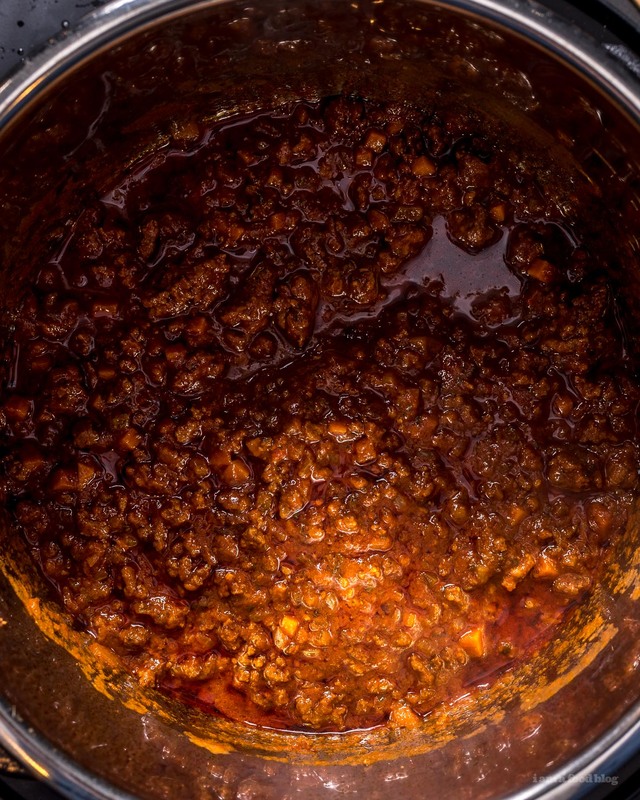 I know what you’re thinking…the world doesn’t need another bolognese recipe. And it’s true, it doesn’t. Everyone and their mom has a bolognese recipe up their sleeve. But, this one’s just a bit different, if only because I pressure cooked it instead of simmering it for hours on the stove. The allure of pressure cooking is of course, the time you save. 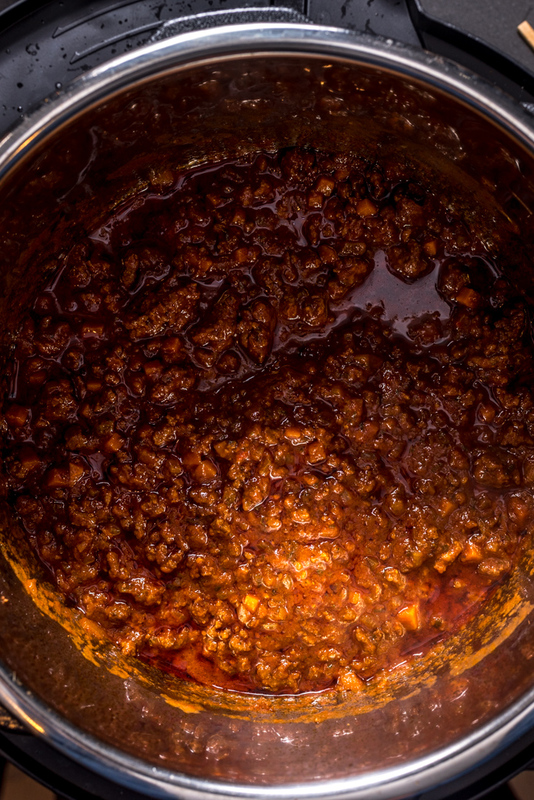 Instead of simmering a sauce for hours, you can have a rich and full bodied ragu in under an hour. 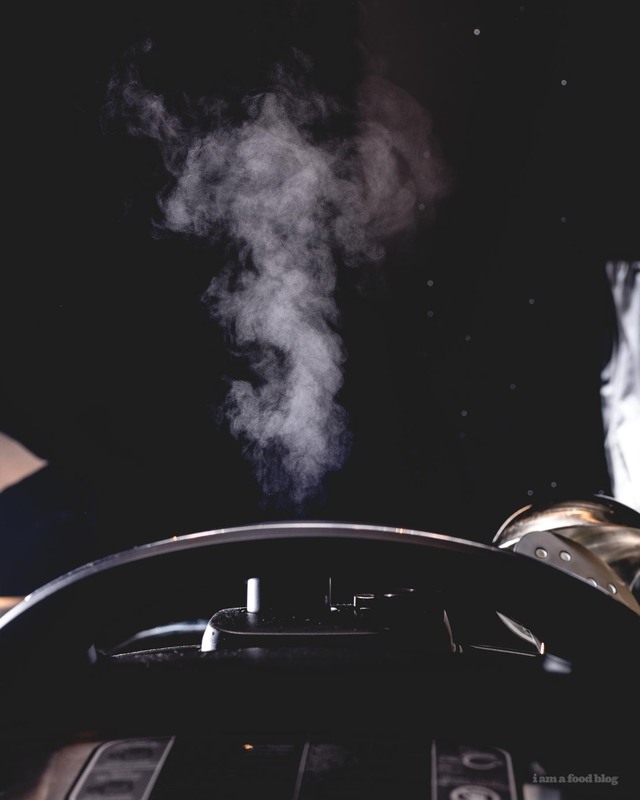 There are just a couple of things to remember when adapting a regular recipe for pressure cooking. When you’re pressure cooking, there’s no evaporation (because you’re cooking in a closed environment), so you want to start out with quite a bit less liquid than you would use when cooking on the stove. With that in mind, this sauce starts out thick, but after a little bit of pressure (ha ha) the liquid in the ingredients is forced out and it becomes just the right consistency, perfect for coating and clinging on to noodles. 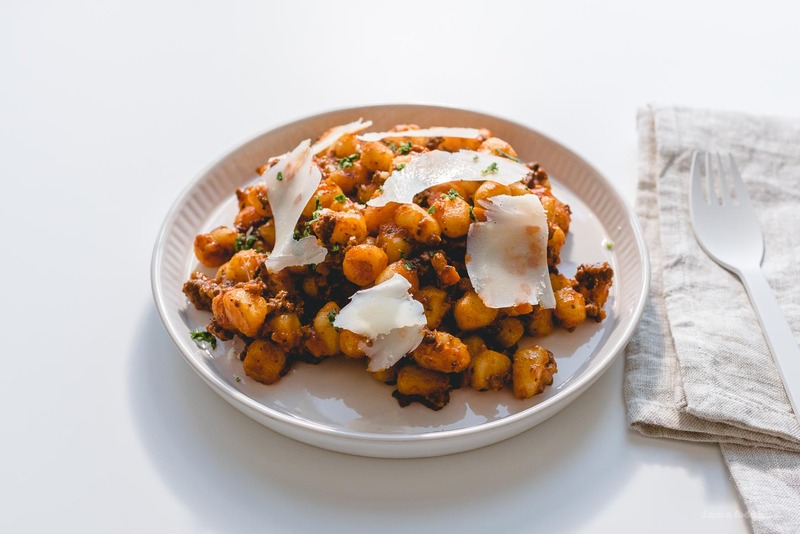 I like it a lot – it really hits the bolognese spot, in less than an hour. 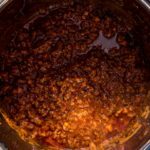 So, here it is folks, instant pot bolognese, for all those times when the craving hits and you need the sauce. Add the butter and oil to the Instant Pot on sear. When hot, add the onion, carrot, celery, garlic, and half of the parsley. Cook, stirring, until the vegetables are soft, but not brown. Add the meat to the pot and cook, breaking up. You don’t need to brown the meat, you just want to cook it to the point where it breaks up and the meat is no longer pink. Add the wine and cook it down until it is mostly evaporated. Stir in the crushed tomatoes, tomato paste, milk, and bay leaf. Put the lid on, set the pressure to high and cook time to 30 minutes. Quick release the pressure when cooking time is completed. Give the sauce a stir, then add 1/2 tablespoon of fish sauce and taste, adding the remaining flat lef parsley and adjusting with salt and pepper as needed. Enjoy with pasta! OH, this looks so, so good! I want to try these Instant Pot recipes so bad! 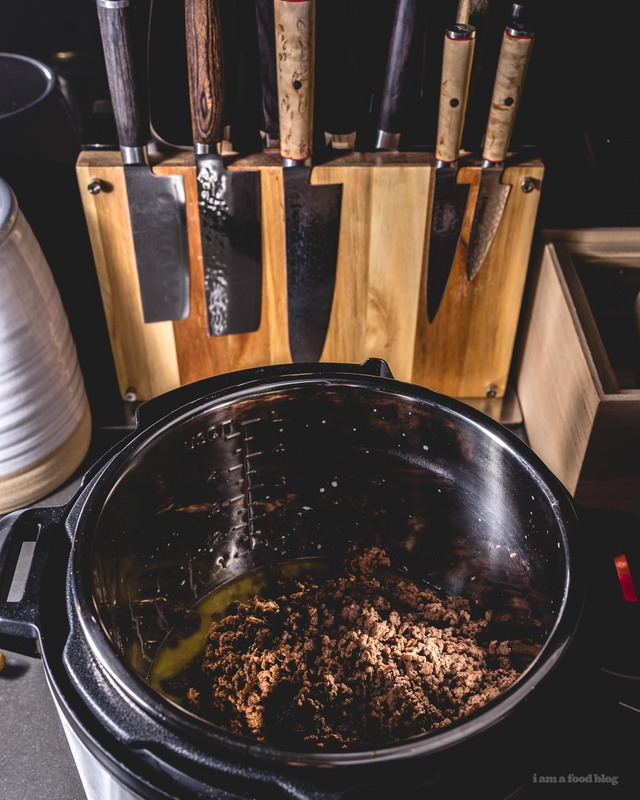 If I ever get my hands on one, this bolognese and your pho are going to be first on my list, I just know. Also, how nifty are these cute comment boxes??? I love them!! Yes! You add fish sauce to your sauce! Perfect umami bomb! it’s the not-so-secret secret ingredient! yes, absolutely as long as it fits in your instant pot! I made this with my boyfriend’s (much loved) instant pot. It’s great for a quick Sunday night comfort meal. It was a bit too saucy so for next time I would add more tomato paste and less crushed tomato. Thanks for the recipe Stephanie! Thanks for this Stephanie! I’m new to Instant Pot and this is my favourite sauce. If you double the recipe would you increase the cooking time accordingly? Not sure how that works with IP. Wow, I can’t believe that it worked this well! I used my own 4 hour Bolognese recipe and cut down the liquids a bit. Turned out the same. It has the same silky texture and look and the taste is virtually the same. At a saving of 3.5 hours. I was going to send a photo but can’t see how to attach it here. yay! so happy it worked for you. the instant pot is amazing, isn’t it?! I sliced a good chunk off my finger making this. But my wife finished and, wow, it was great. Will make again (without finger-slicing). eep! hope your finger is okay and glad it was good!! I’m making this tonight! What kind of noodles are those in the picture? They look sort of like fettuccini but… thicker? Can’t wait to see how this is!